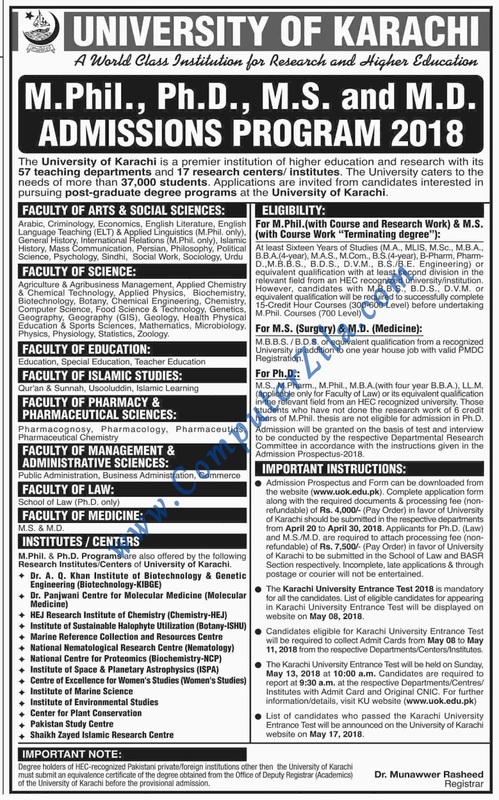 Admissions Open at University of Karachi's Karachi Campus for the batch Spring 2018. UOK offers admissions in different fields of study for Masters, and Phd. you can apply for , MS - Master of Science, and M.Phil - Master of Philosophy, Phd - Doctor of Philosophy, Phd Computer Science.